You are a royal, seeking new lands to expand your ever-growing kingdom. Explore and conquer the different terrains, and develop the best and richest territories for your people. Scour lands full of wheat fields, forests, grasslands, swamps, mines, and towns, diversifying your kingdom’s riches along the way. Tax the lands wisely to fund the construction of your towns, pick the buildings you erect carefully, and try to win the Queen’s favor - all while making sure your plans aren’t foiled by the Dragon’s flame. Make sure to strategize and acquire carefully, as others are also competing for the same lands, a stake in the riches, and the heart of the Queen! Queendomino is both a standalone game and an expansion of the 2017 Spiel des Jahres recipient, Kingdomino. It offers more complex challenges, a new territory, and a way for more players to participate. 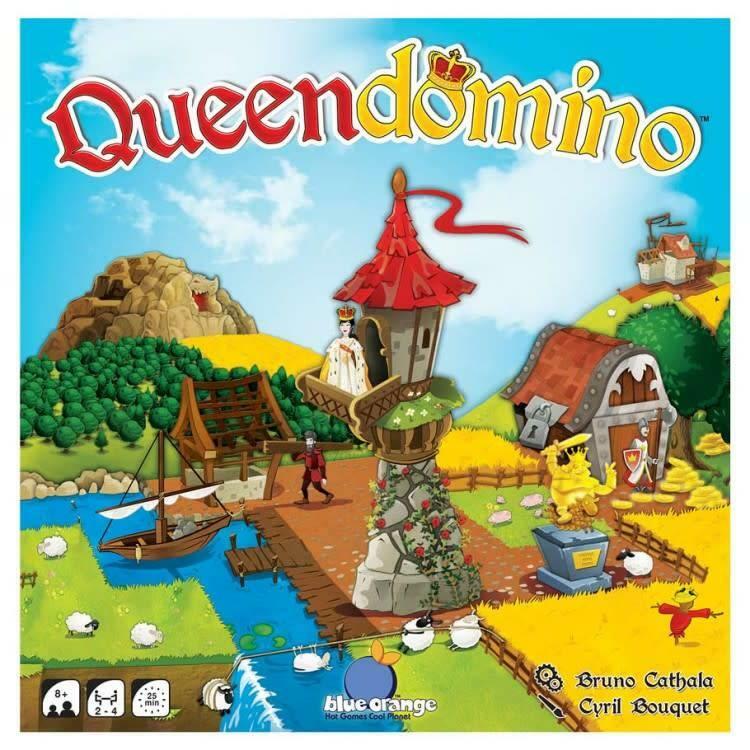 2 to 4 players can play Queendomino traditionally, but when the game is combined with Kingdomino: 3-4 players may play with a 7x7 grid, 5 to 6 players with a 5x5 grid, and 6 or 8 players may play in teams with a 5x5 grid.